24 X 48 in. / 70 × 122 cm. 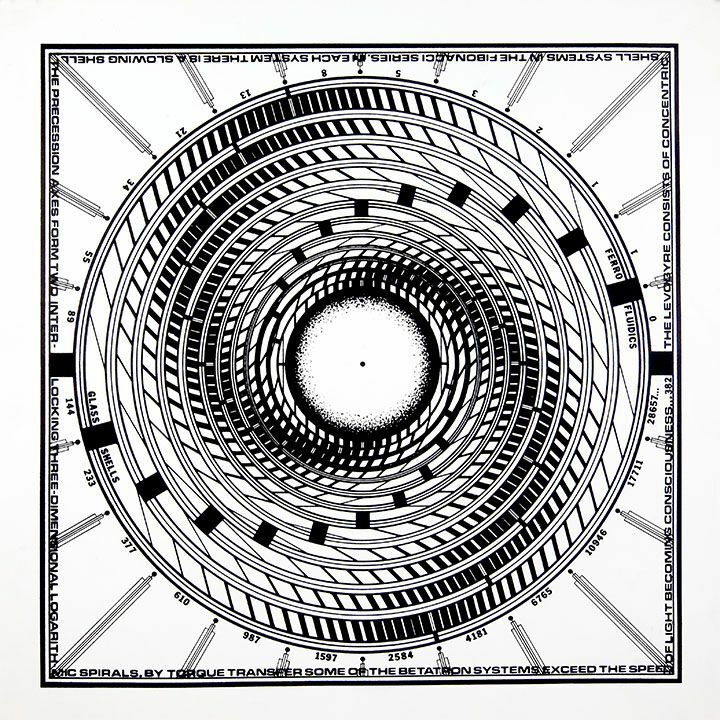 48 × 52 in. / 121.9 x 132.08 cm. 51 1/2 × 51 1/2 in. / 130.8 × 130.8 cm. 73 1/2 × 73 1/2 in. / 185.4 × 185.4 cm. 98 × 48 in. / 248.9 x 121.9 cm. 37 1/2 × 37 1/2 in. / 95 1/4 x 95 1/4 cm. 73 1/2 × 73 1/2 in. / 186.6 x 186.6 cm. 49 1/2 × 49 1/2 in. / 125.7 x 125.7 cm. SCALE OF MODEL: 1/16 in. = 1 ft. OVERALL HEIGHT: 50 in. / 149.8 cm. BASE: 26 X 25 1/2 X 25 1/2 in. / 66 x 64.7 x 64.7 cm. 18 ½ x 35 x 17 1/2 in. 47 x 89 x 44.5 cm. 26 X 64 X 45 in. / 66 x 162.5 x 114.3 cm. 25 3/4 x 46 ½ x 24 ½ in. 65.4 x 116.8 x 60.9 cm. 8 x 39 x 22 3/4 in. with base: 7 x 12 x 122 in. / 17.7 x 30.4 x 309.8 cm. Overall: 37 x 5 ½ x 25 ½ in. 18 3/4 x 36 in. / 47.6 x 91.4 cm. 23 x 23 in. / 58.4 x 58.4 cm. 19 3/4 x 27 in. / 50.1 x 68.5 cm. 21 1/4 X 21 1/4 in. / 53.9 x 53.9 cm. 22 x 14 in. / 55.8 x 35.5 cm. 18 1/2 x 21 in. / 46.9 x 53.3 cm. 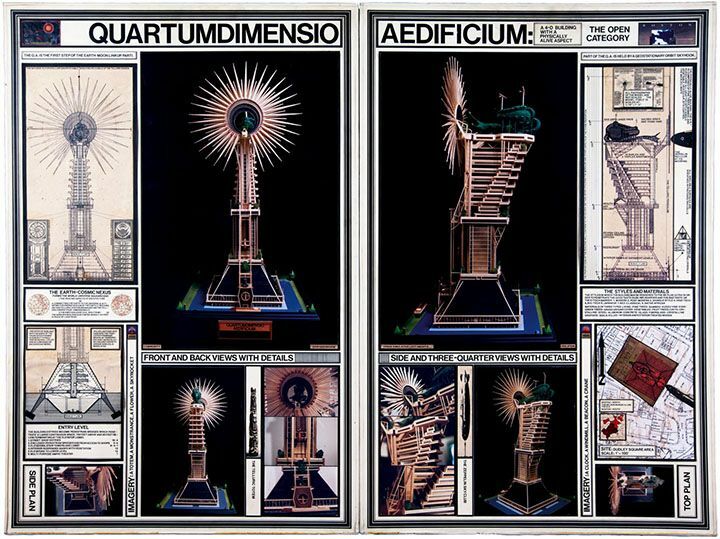 This survey of the visionary works by Paul Laffoley will include, for the first time, models of utopian speculations related to the architectural problems that we currently face. 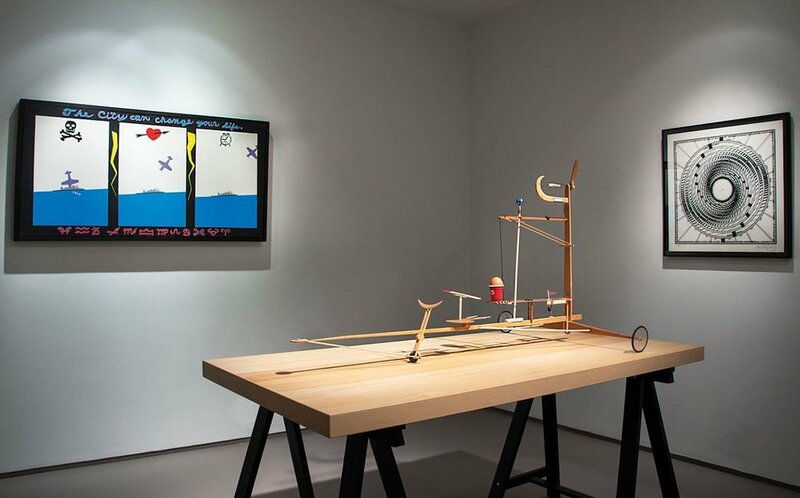 The show begins with perhaps his most puzzling incidence of genuine predictive powers as evidenced by the painting The City Can Change Your Life, 1962, to the current cycle of works related to the Guggenheim Fellowship (2009) project entitled Building the Bauharoque. 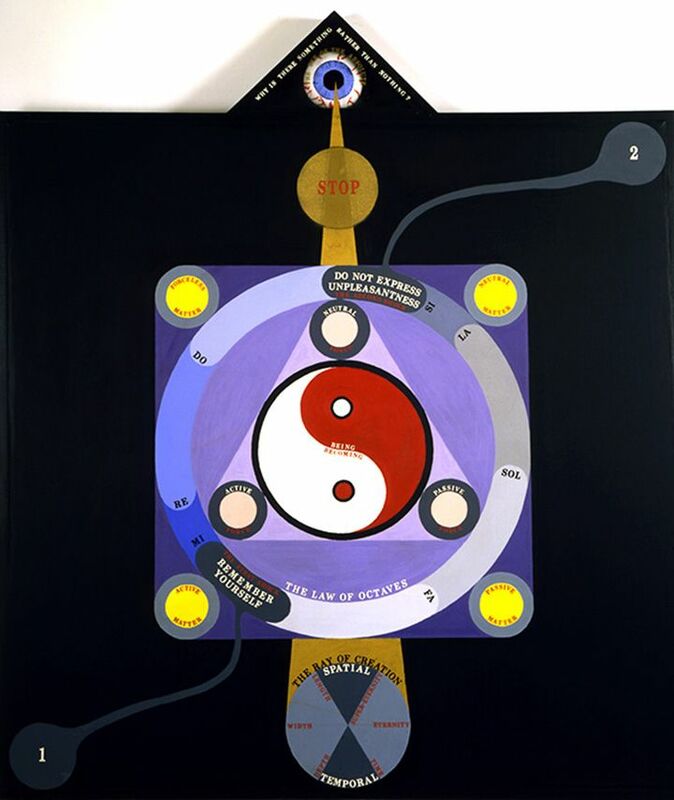 Laffoley’s endeavors evoke freedom from the limitations of time and space, which imprison our curiosity about the infinite possibilities beyond the radius of our sight and orientation. 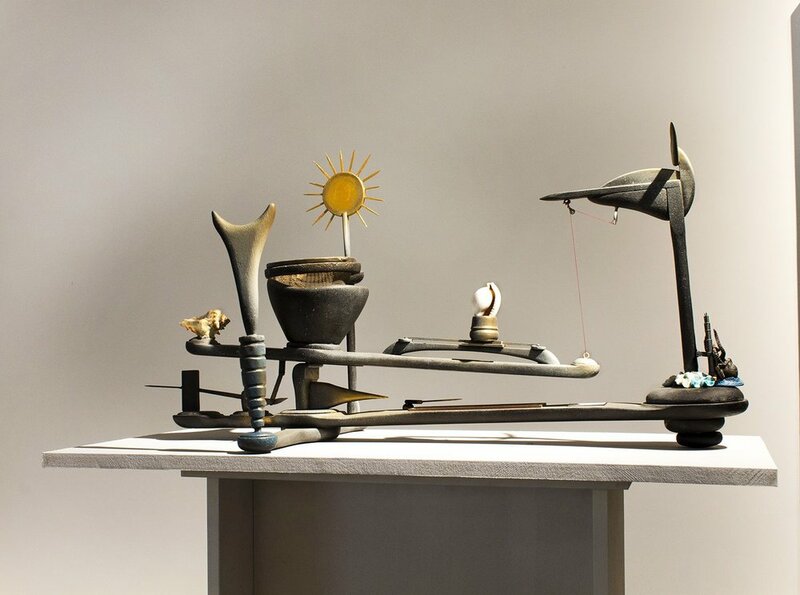 At times, his oscillations between the sublime and grotesque approach a metaphysical intensity. 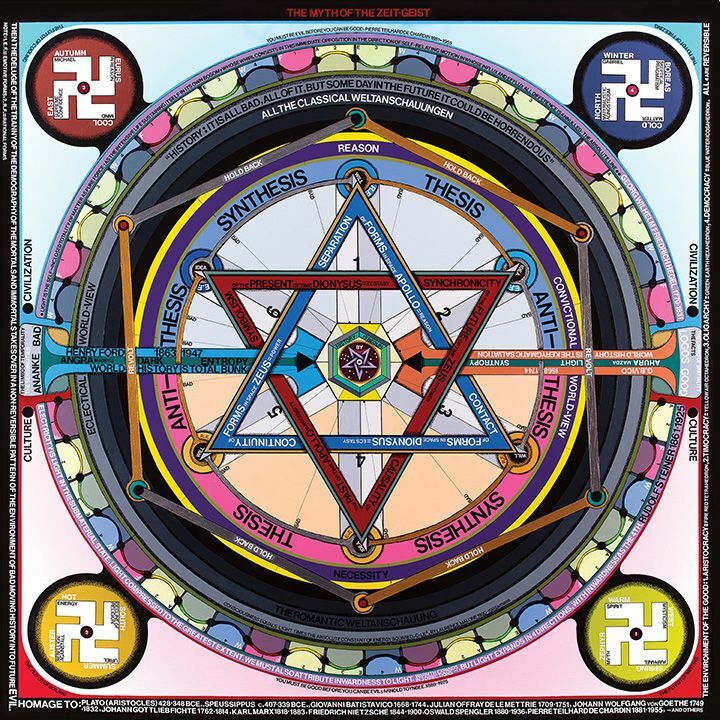 "Paul Laffoley: The Force Structure of the Mystical Experience"
"The Legacy of Paul Laffoley"